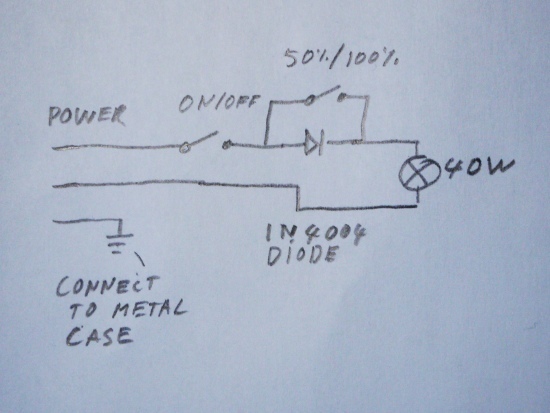 This is a device which I made many years ago as a student. I lived in a student dormitory with stone floors and single glass pane windows. One would easily get cold feet when studying at the desk. 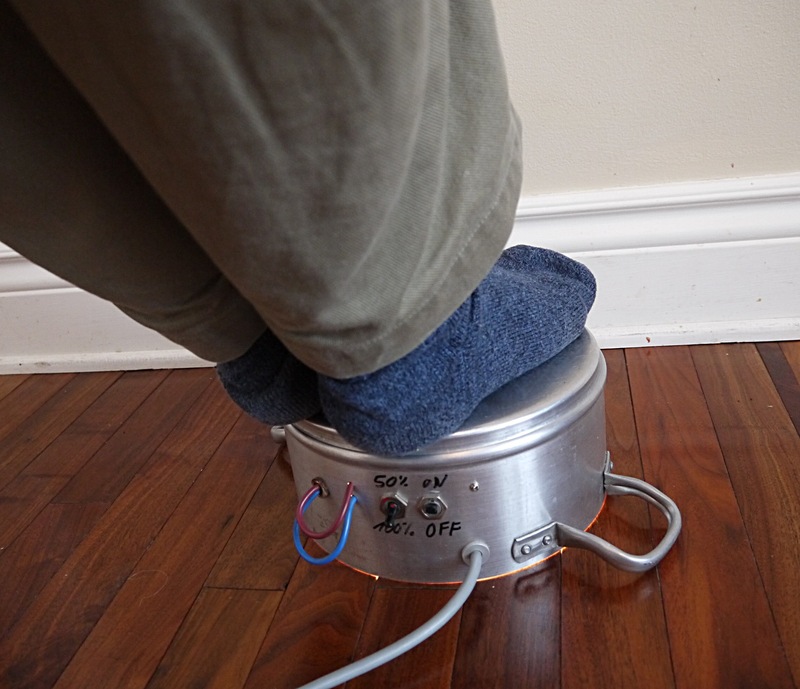 The feet warmer became the talk of the dormitory. Everybody who came into my room wanted to know what that thing is. 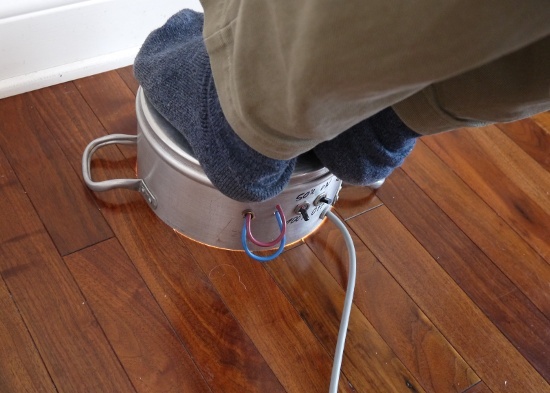 The feet warmer is a simple two speed heater made from an old metal pot and an incandescent light bulb as a heating element. These days I don't use it as often anymore but I still like it. It's a good way to keep your feet warm on a cold winter day. To build this device you will need a large pot or deep pan. Most pots are made these days out of stainless steel and it is very hard to drill a hole into stainless steel. I recommend therefore an old aluminum or copper pot. Teflon coated pans are still made from aluminum. 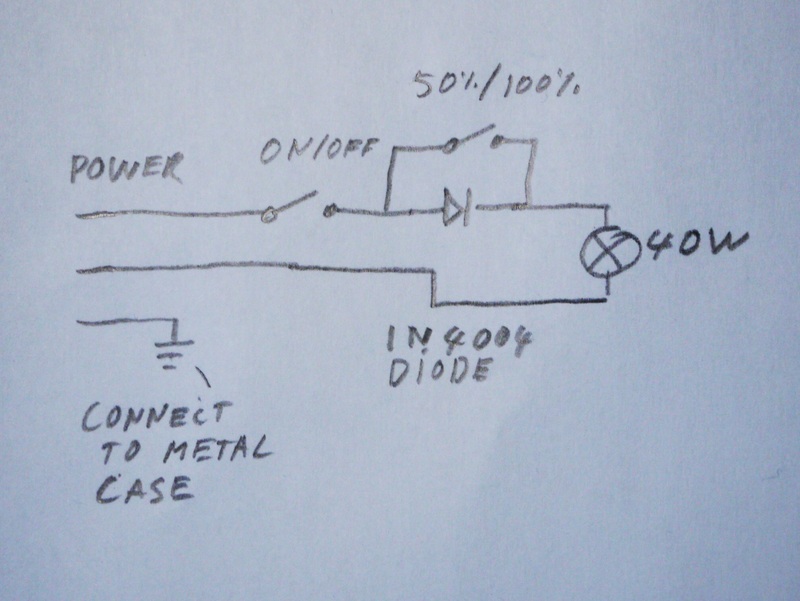 You drill holes into the sides to mount a socket for a 40W incandescent light bulb and two switches. I spray painted the inside of the pot with mat black paint to convert as much light into heat as possible. 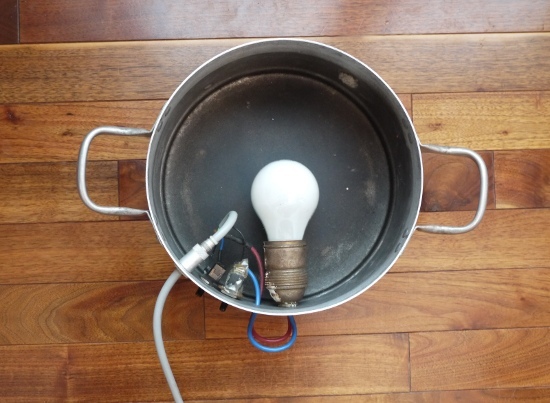 Make sure that the wires are properly insulated and that the metal pot has an earth connection. 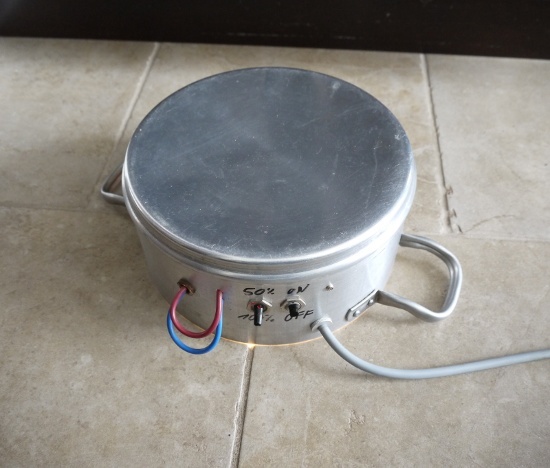 You can build this heater from scrap parts. It's an inexpensive and very useful device. Enjoy the cozy winter days with warm feet!